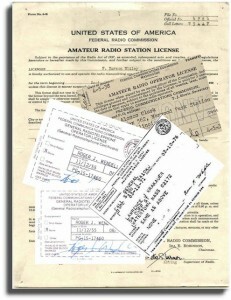 An amateur radio license is required if you are going to be operating on the amateur (ham) bands. No license is required to operate shortwave receivers in the United States. Unlike some countries that require amateur radio operators to participate in various shortwave activities before being allowed to apply for an amateur radio license . 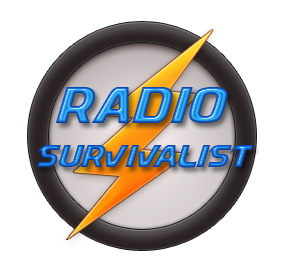 You may wonder why a survivalist would bother getting an amateur radio license when they can just run unlicensed. The simple fact of it is that having a license will allow a survivalist an opportunity to fine tune their operating skills as well as learn all they can about antenna systems . There are now only three license classes for amateur radio instead of the five that had been around for so many years so instead of the Novice , Technician , General , Advanced, and Extra classes we now have the Technician, General, and Extra classes. Here’s a few notes on each of the current amateur radio licenses. This is now the entry level license and it is fairly easy for the newcomer to pass the FCC exam for it. There are only thirty-five multiple-choice questions on the examination and there is no longer a Morse code requirement for any of the three current FCC amateur radio licenses. The Technician exam pertains to your knowledge of the FCC regulations as well as the proper operating procedures for an amateur radio station. There are also questions concerning basic electronics theory as it pertains to both the VHF as well as the UHF communications. Technician Class hams can use all of the amateur VHF and UHF frequencies which means it covers the six meter band which starts at 50 Mhz to well beyond. Just so you know, Technicians are not shut out of the HF bands. Techs, as they are called, can also utilize the 80 meter, 40 meter, and 15 meter bands but they can only use Morse code on those three bands. On 10 meters a Tech is allowed to use modes such as Morse code, AM voice, FM voice, SSB voice, and the exciting digital modes. Although a Tech is limited to Morse Code (CW) on the HF bands they do not have to take a test in order to use this very effective mode of communication. Once you make it to your General ticket you will soon realize a big difference in where you can operate and what modes you can use. Undeniably, the 20 meter and 40 meter SSB privileges are the most sought after since they are two of the prime bands to get a lot of DX contacts really quick so you can begin working your way towards DXCC. Plus you get to use a bit more power if you are so inclined to do so, up to 1500 watts as a matter of fact. General class ops are permitted to operate on the all frequencies of the 160, 30, 17, 20, 15, 12, and 10 meter bands. The following bands will give them more bandwidth than they had as a Technician plus the additional 20 meter band, but these are the bands they will get greater use of: 80, 40, and 15 meter bands. The Big Daddy and one of the most sought after classes of licenses because it gives you all privileges on all amateur radio bands and covers all modes as well. They have many, many club listings so you should be able to find at least one that is somewhat close to you. Once you find a club, join it! You don’t usually need a license to join a club unless it is some specialized club. If it is then you wouldn’t want to get into that just yet. Do a Google(r) or Bing(r) search for “ham radio tests” and you will find several great resources that you can use to get comfortable with the questions the FCC will be asking. Oh, you don’t have to take your test at a FCC office as there are many VE’s (Volunteer Examiners) available to administer the test for you. One thing to keep in mind if you are shooting for the Tech license, try the General test the same day. Yeah, you didn’t study for it but it will give you a fell for the type of questions they have on the General License test. And you never know, you just might have enough knowledge to come out of the testing session with a Geneal Class License!